Like everyone in politically plugged-in Hollywood, George Takei doesn’t know what’s in the report on President Trump and Russia that Special Counsel Robert Mueller submitted Friday. And he knows it may not matter. Mueller, who was appointed to investigate and potentially prosecute anyone involved in collusion between Russia and Trump’s team, submitted the report to Attorney General William Barr on Friday, Barr told leaders of the House and Senate judiciary committees. Barr also said that there were no instances where the Justice Department overruled a decision by Mueller. 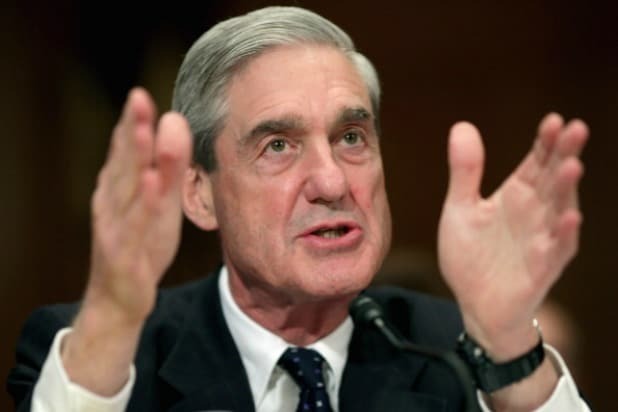 Mueller, a former FBI director, has refrained from speaking out since taking on the role of special counsel in May 2017. That has created an aura of mystery around the contents of the report, and Hollywood loves a mystery, especially when it could hurt a president who is deeply unpopular in the entertainment industry. The president flew to his Mar-a-Lago resort in Florida Friday. Mueller is investigating Moscow’s potential interference in the 2016 presidential election, and whether any Americans may have helped the Kremlin. So far, Mueller and his team have charged 34 people, including 25 Russians. No matter what Mueller’s report contains, we already know three things: Trump surrounded himself with felons, he obstructed justice on behalf of those felons, and he faces multiple federal and state investigations for other criminal activity. The wheel of justice has many spokes. The Mueller report is in. That's the news bulletin. What's in it, when, or if, or how much we'll see of it, what it means for the President, and other questions at this point are just conjecture. Your guess is as good as mine, but we're likely in for quite a ride no matter what.